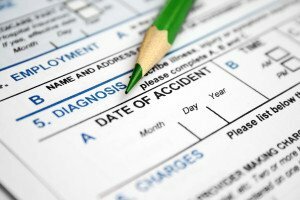 Realize that in a personal injury accident there are two main aspects to the case. The first aspect is what we call “liability” – who did what wrong. The second aspect we call “damages” – what injury and harm was caused by the wrongdoer. Both liability and damages will be discussed when you first meet with your personal injury lawyer. The attorney will want to know the facts of what happened and how you were injured. The personal injury lawyer may also be in a position to give you some advice – although probably just initial thoughts and preliminary suggestions at that early stage – about what she or he thinks of the case and the chances of recovery. In an automobile accident case you might have been given a piece of paper by the police with a case number on it — bring that! If you have the actual police report, that is also helpful. If you have any photographs of the accident scene, your property damage, or your injuries, those are very helpful. Any correspondence with or cards from any insurance carriers are also important, along with any information you have about the insurance company and “policy limits” of the involved policies. Sometimes you might have portions of your medical records, either from your treatment following an accident or documenting instances of possible malpractice. Bring them, or at least the key parts of them. The more evidence you can bring in to help establish liability in the case, the faster the case can progress in the initial phases! On the damages side, ultimately your lawyer will collect all of your medical records and medical bills, but any records you have will help initially. Names of doctors and other health care providers are important. And take pictures of your injuries and bring them; pictures really are worth a thousand words! In short bring everything you have gathered about your claim so far to the first meeting — too much is better than not enough.